Un nuclear watchdog head Yukiya Amano is normal in Tehran on Monday, Iran's atomic head Ali Akbar Salehi said on Tuesday, including that he trusts for an arrangement to be secured. 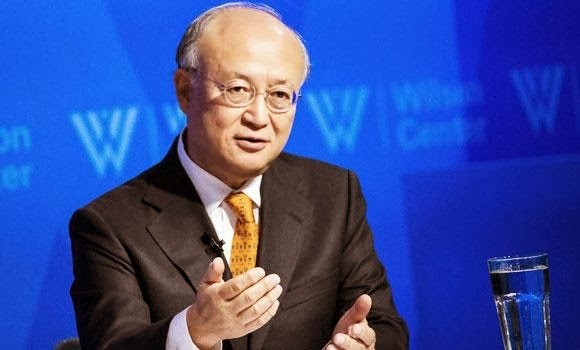 The visit by International Atomic Energy Agency (Iaea) head Amano is pointed at determining the decade-long standoff over Iran's debated atomic system. "I welcomed Amano to visit Tehran on Nov. 11 and he communicated his readiness to come," Salehi was cited as saying by the site of state telecaster Irib. Salehi said he trusted "to achieve a concurrence with (Amano) and issue a joint articulation." Ten gatherings between Iran and the Iaea since a major report from the Un figure in November 2011 have made small progress, yet the tone of arrangements changed after President Hassan Rowhani, a rumored direct, took office in August.